Member tickets £14.95 per adult vs £30 on the door! 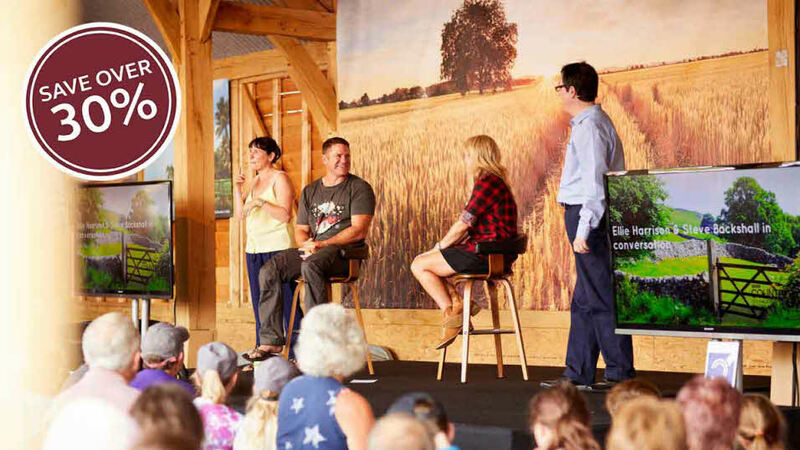 Join us for BBC Countryfile Live as it heads north to the grounds Grounds of Castle Howard from 15 to 18 August 2019 to celebrate everything we love about the great British countryside. Over four amazing days, you can see live arena shows and farm machinery displays, discover British wildlife and livestock, and have a go at outdoor sports, like fishing or 4x4 off-road driving. There’ll be cooking demonstrations, debates, craft workshops and lots of shopping, with hundreds of exhibitors of fine quality products at the show. Come a long for the show only. Save on camping and show ticket prices.